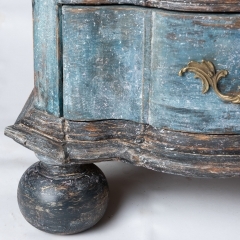 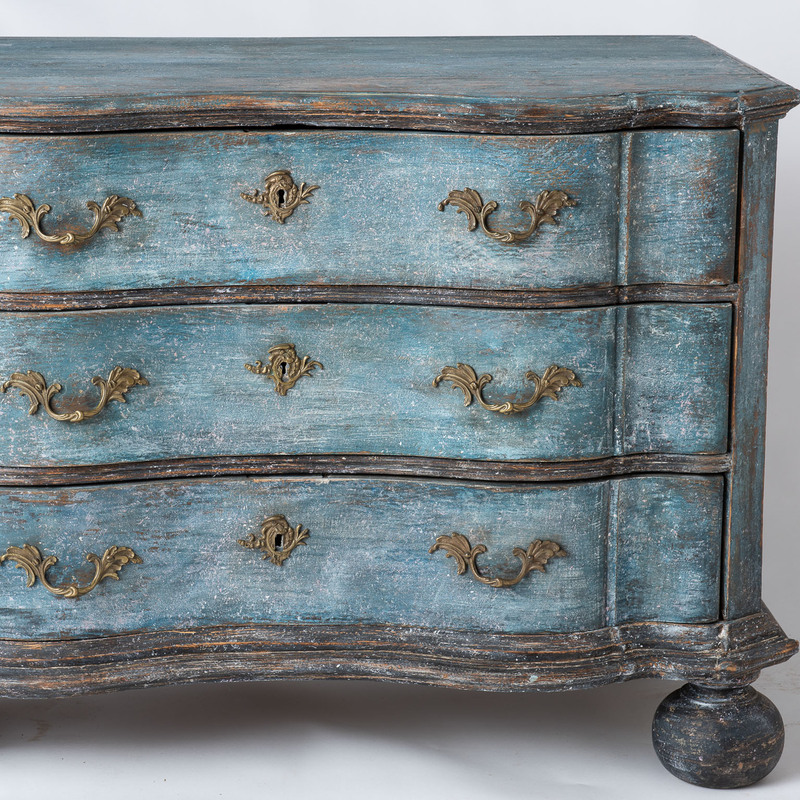 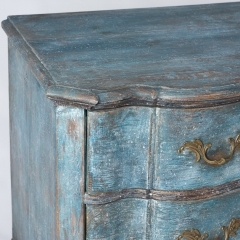 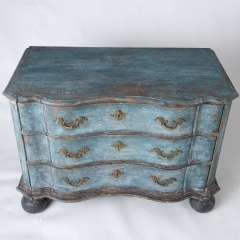 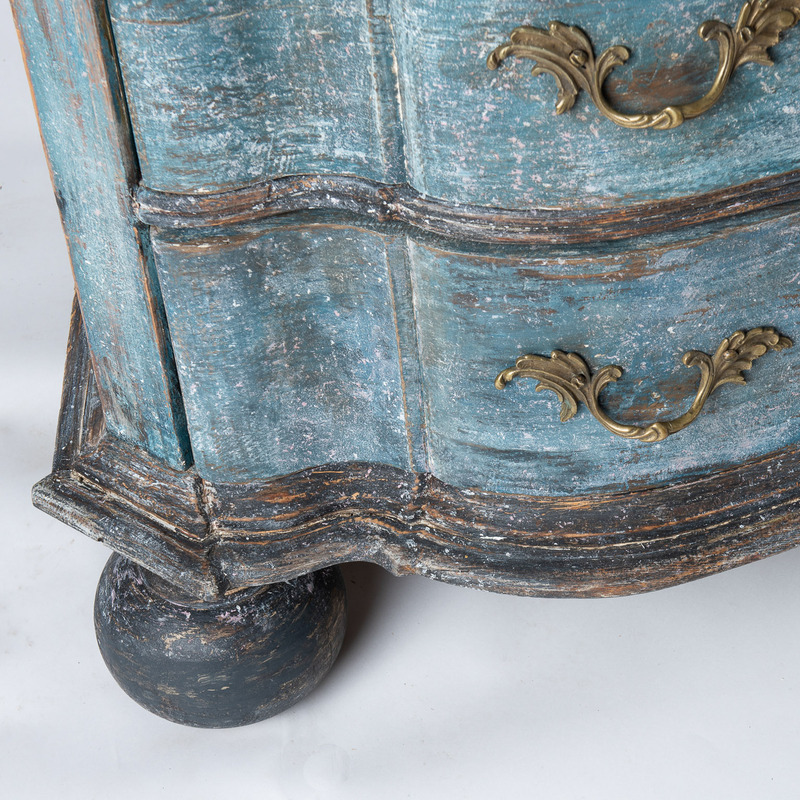 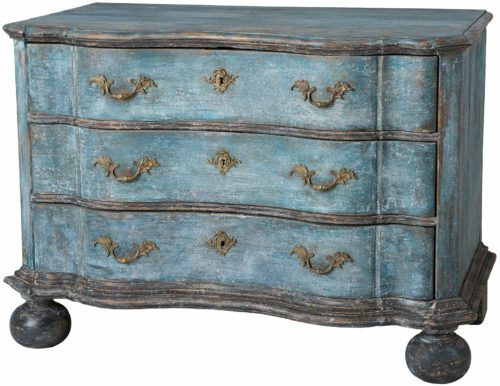 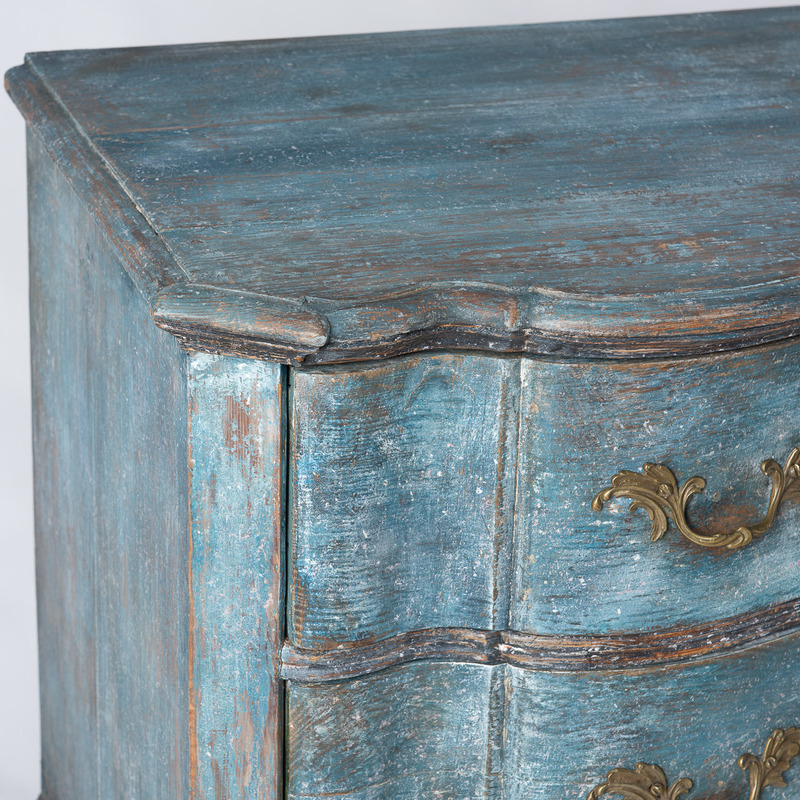 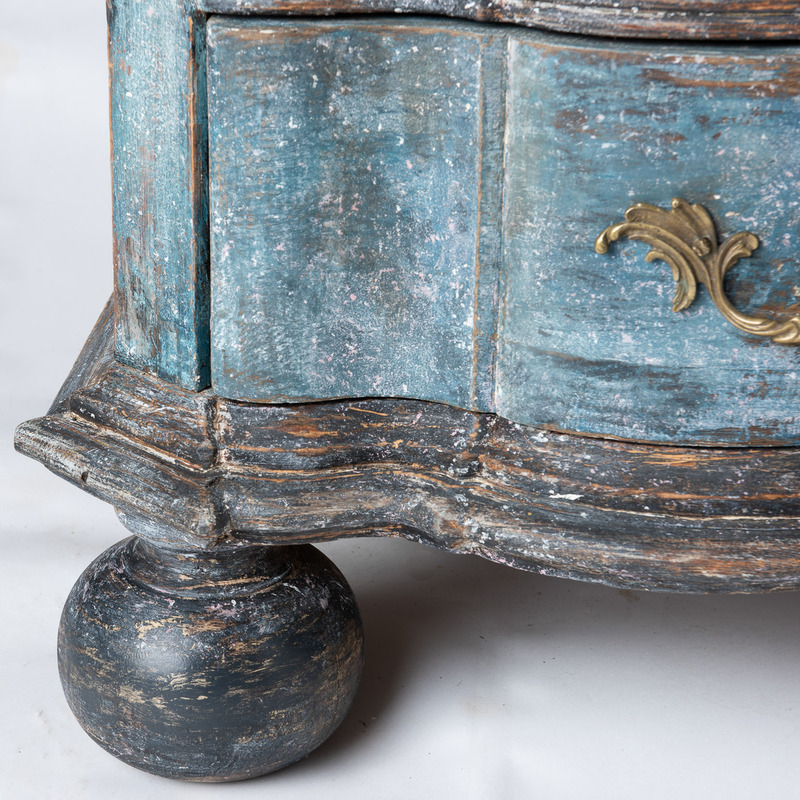 This chest has great presence with a serpentine front and fantastic ball feet. 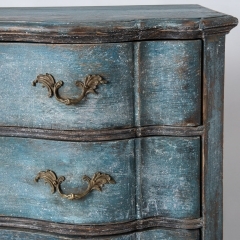 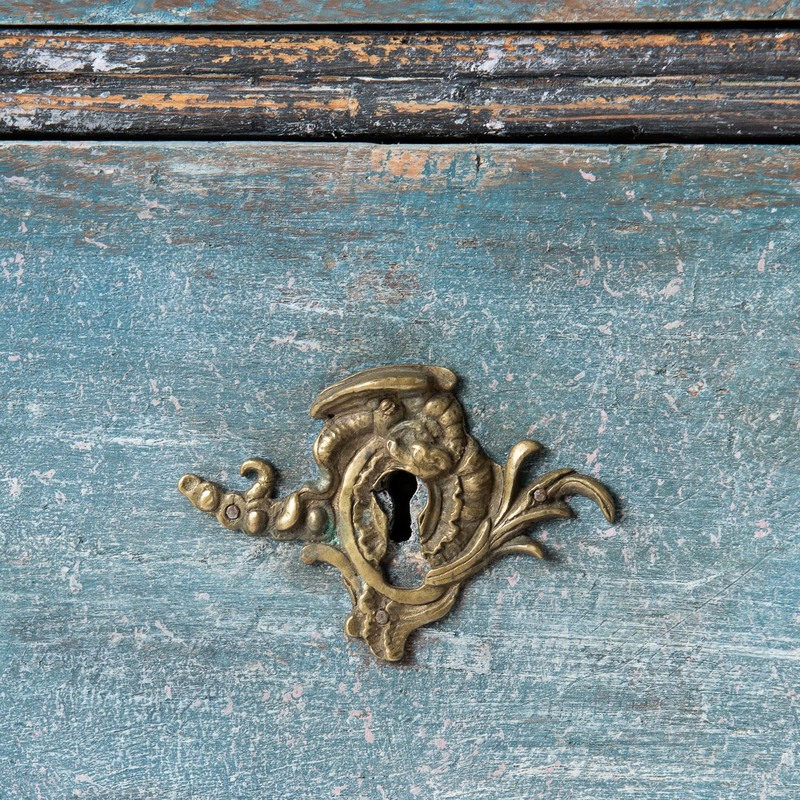 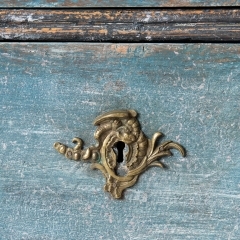 The original blue paint is a wonderful color, and the brass hardware is appropriate to the period. 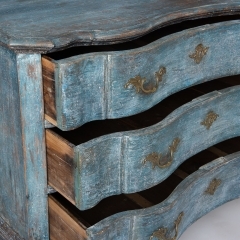 The drawers open easily which makes it a very useful piece.